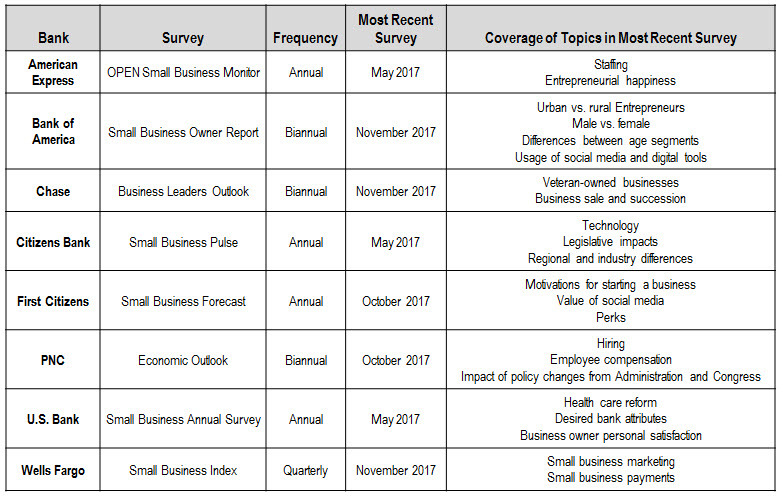 The proliferation of small business surveys that cover specific topics of interest indicate that they are effective tools in helping banks build awareness and engagement with their small business clients and prospects. This entry was posted in Banking, Small Business Banking and tagged American Express, Bank of America, chase, Citizens Bank, First Citizens Bank, PNC, small business surveys, U.S. Bank, wells fargo by mronan. Bookmark the permalink.